High on a hill live lonely old tree planters! 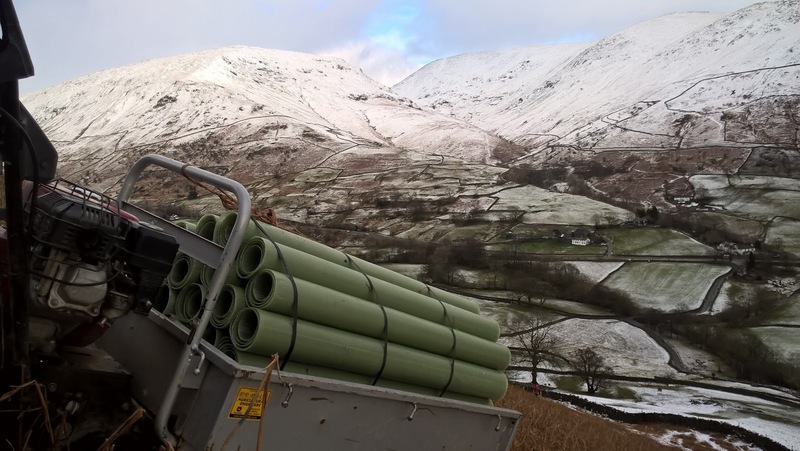 Tree planting above Grasmere - there could be worse views! 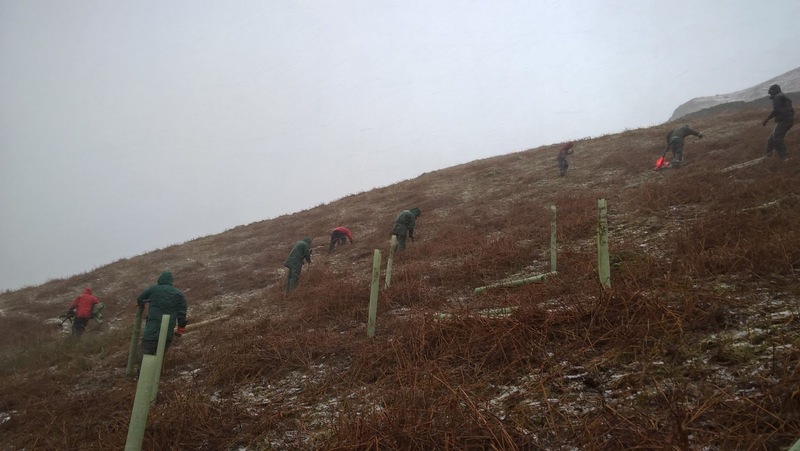 Funded by Natural England, this involved planting 6ha of the slopes with typical ‘scrub woodland’ species – hawthorn, blackthorn, crab apple, holly and rowan, along with some silver birch, aspen and alder. Upland scrub is a valuable and often under-appreciated habitat; far from being “scruffy” and in need of tidying, the presence of scattered shrubs and trees provides valuable homes for insects, lichens, birds and small mammals, which in turn feed larger birds and mammals. The flowers of species such as hawthorn and crab apple keep pollinating insects happy, whilst their fruit can be a bounty in the autumn. 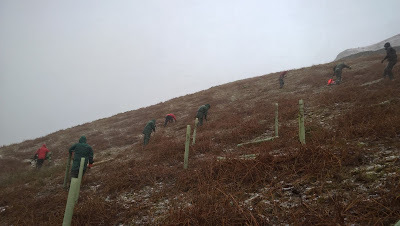 And the roots of these trees and shrubs help to stabilise soils and improve the ability of slopes to hold water, reducing and slowing the water running off hillsides into rivers during rainy periods. 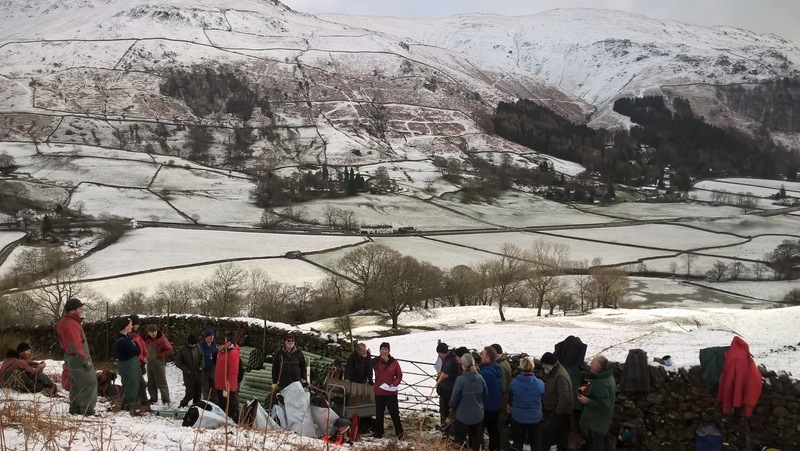 Fresh from their success as ‘Volunteers of the Year’, the Lake District’s Fix the Fells volunteers put in an impressive show of numbers to help plant the 1,800 trees that went in the ground during the week. 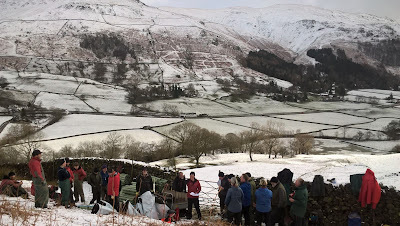 Students from Myerscough College also came up during their holiday, learning how to plant and linking this to their Upland Management course. 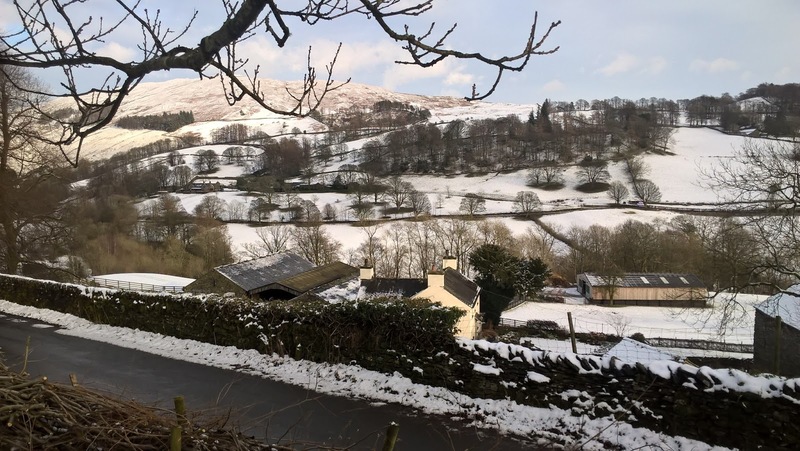 We were also joined by volunteers from the University of Cumbria, as well as stalwarts of the Ullswater and Great Langdale volunteer teams. Staff from the National Trust’s regional office just over the valley in the Hollens also pitched in, experiencing first-hand a hillside they would normally look at from afar in their warm and cosy offices! The planting was far from easy; on a couple of days the weather threw its worst at us, as Allan Bank Manager Dave and Woodland Ranger Liam tried to capture in this video! The weather may have been trying, but all involved can look up at this prominent hillside with pride. There are still more trees to plant, hopefully in more amenable conditions!, but even so, look west next time you’re passing on Dunmail Raise and you’ll see a great example of the National Trust’s ambitions to restore a healthy, beautiful, natural environment. 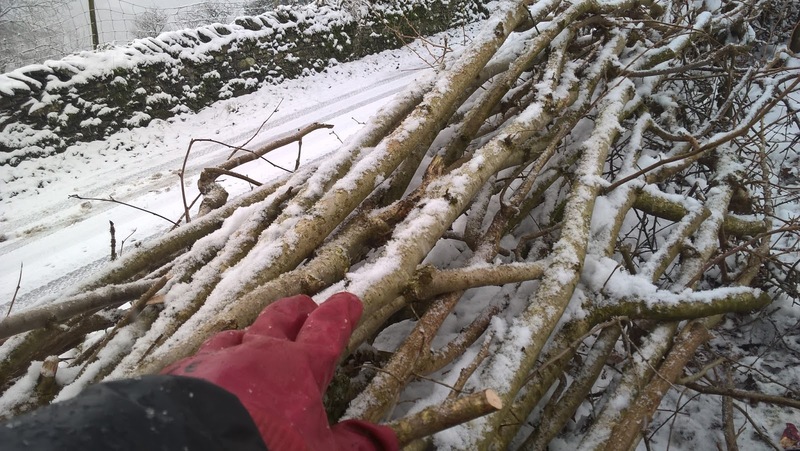 Hedge Laying in the snow at Townend. 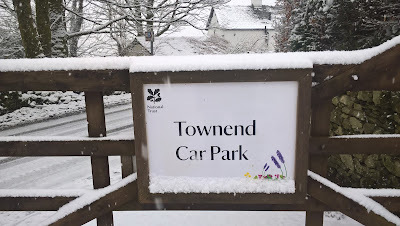 The hedge bordering Townend House car park had been flailed for many seasons up until now. 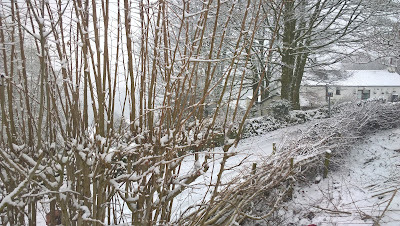 Last season the hedge was allowed to grow so that it could be re- laid more effectively. 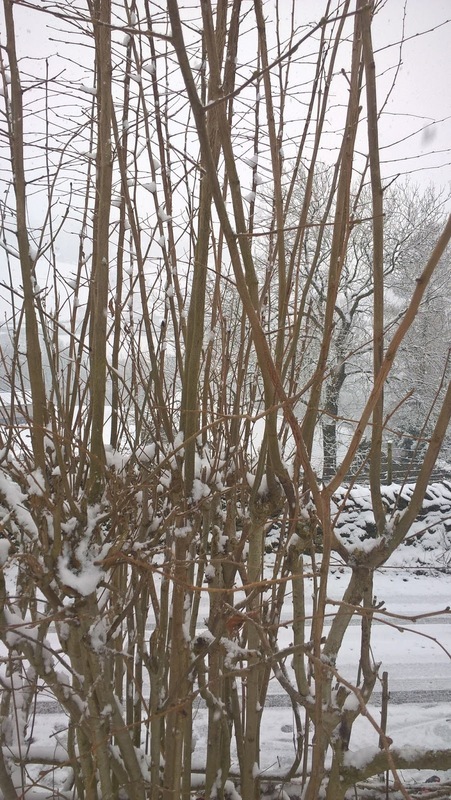 This image shows the new growth from the previously flailed stems. The hedge consists of thorn , ash and hazel. 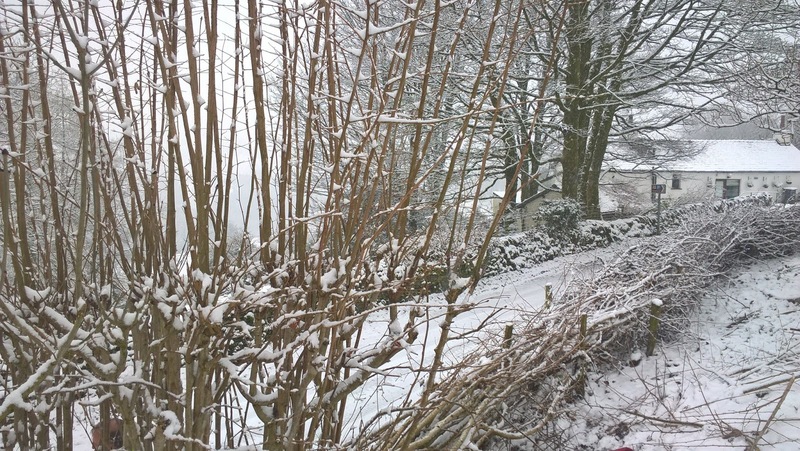 This image shows a section of laid hedge. 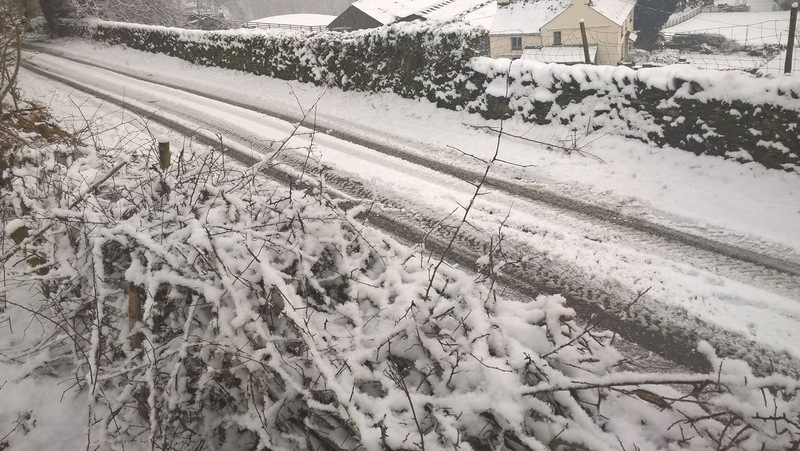 Another view with the road beneath running alongside. 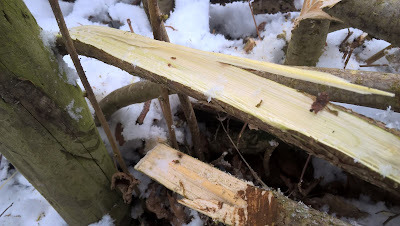 Pleaches at the base of the stems (usually made with a billhook) give them the flexibility to be laid down. 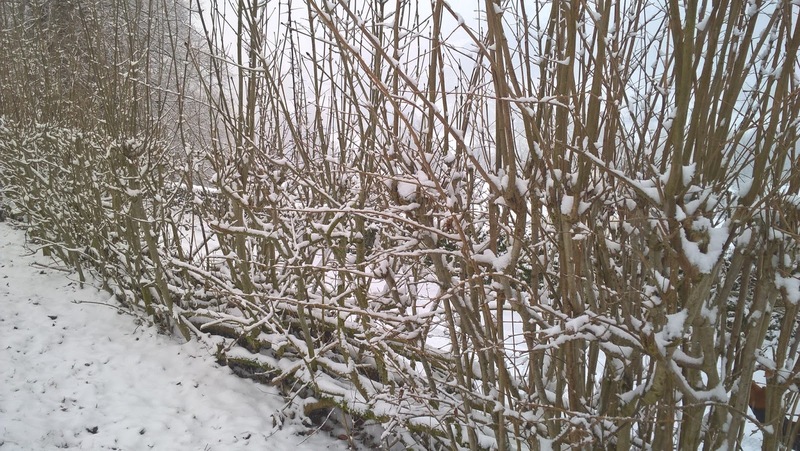 The stems are interwoven to give the hedge strength and support. The hedge was planted along the top of the roadside wall many years ago. The difference in levels between the car-park and the road is considerable, making hedge laying a challenging job. 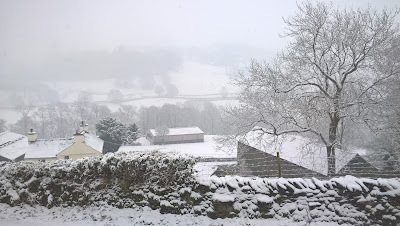 The view from the car-park of a heavy snow fall. 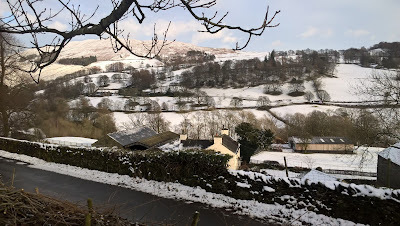 Later in the day working conditions improved when it stopped snowing..
After finishing our path repair work up at Hole in the Wall we've as usual, for the time of year, concentrated on working in the valley bottoms, so far mostly around Langdale and Ullswater. 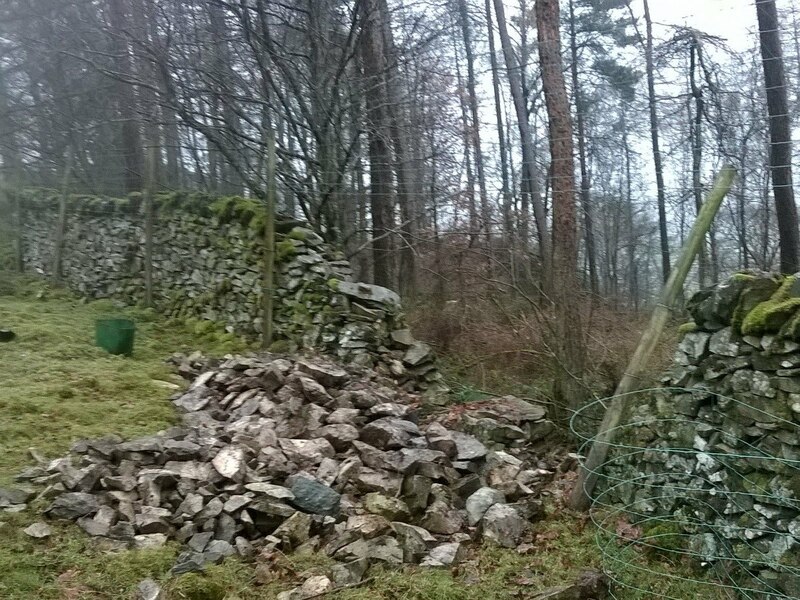 Since the new year our main work has been carrying out repairs to a woodland boundary in Ullswater. The plantation where we've been working has been recently thinned which will allow more space for selected trees to develop and let more light get through to the woodland floor. This in turn should lead to an increase in woodland flowers and encourage a wider range of other species to use the woodland. 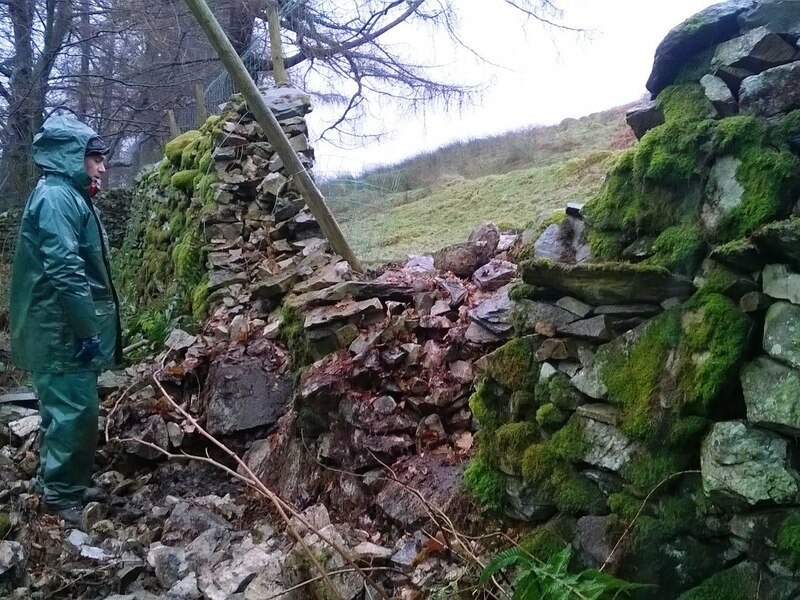 The work has consisted of two dry stone wall gaps on the east side of the lake below Place Fell. The lower gap had extremely tricky access with the wall being on top of a steep rocky slope which also meant a lot of carrying rock back up the hill before we could start. The upper wall, although easier to access, was a much larger job and the stone was a lot more challenging being smaller and irregular. We soon had both walls up and they will now hopefully last a good few years before being in need of any more repair. 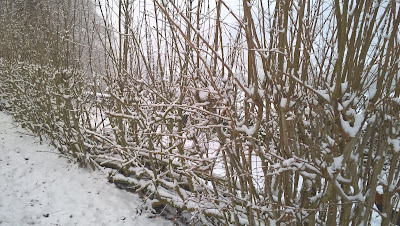 To allow woodland plants to flourish the woodland ideally needs to be stock-proof. So the final job once we'd finished the walling was to reattach the wall-top-fence to make it difficult for both sheep and deer to gain access.